and to destroy the works of the devil. or let him have any power over us. Prayers by Wilhelm Loehe are included in Prayers from the Evangelical-Lutheran Heritage, available from Amazon.com, and also available for Amazon Kindle. 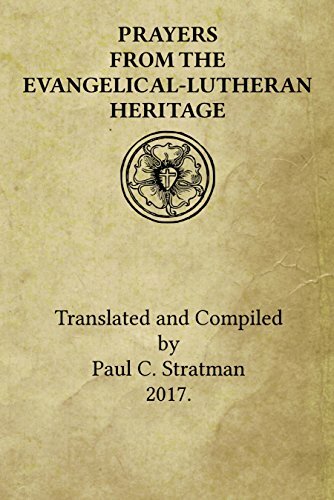 It is a collection of prayers from the history of the Evangelical-Lutheran Church from Luther to Loehe. The collection includes prayers by Johannes Bugenhagen, Georg C. Dieffenbach, Veit Dietrich, Matthias Flacius, Wilhelm Loehe, Martin Luther, Philip Melanchthon, Joachim Mynsinger, Johann G. Olearius, Johann Jacob Rambach, and the early agendas and prayer books of the Austrian, Brunswick, Hamburg, Lueneberg, Norwegian, Nuremberg, Pomeranian, Riga, Russian, Saxon, Schleswig-Holstein, and Swedish Evangelical-Lutheran churches.